The Andover Gig Guide is a very well run and organised site hosted by local music enthusiasts and is one of the main reasons for the success of Andover's live music scene. 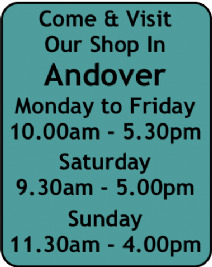 Andover's professional arts and entertainment venue, click to find out what's on when. Local Music Here is a short list of some of the areas groups & bands, for a more definitive list please visit the Andover Gig Guide. Since forming in 1993, The New Antonians have established themselves as a fine example of what Bigband playing is all about. The range of styles runs from the classic wartime Glenn Miller through Count Basie and Duke Ellington to Frank Sinatra in the 50s-70s and even today with Brian Setzer and Phil Collins developing modern pops in the Bigband style. 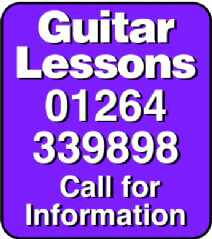 Music Teachers If you teach music locally please contact us to exchange links. Rob Robinson is a musician and teacher based in Andover, Hampshire. In his 25 year career Rob has played many hundreds of gigs and concerts with pop, rock, blues and jazz bands, he has travelled the country with national tours of musicals, worked for the BBC and played on many sessions including recording at the prestigious Abbey Road Studios. Want to learn how to play the Drums? My unique, private tuition course could what you are looking for. Mooncalf Recording Studio is based near Marlbourgh but the owners have long term connections in the Andover Area. Stringbrokers can wholeheartedly recommend this studio as members of the team have recorded there on numerous occasions. The Lamb Sessions are informal gatherings of like-minded folk who simply enjoy making music together. All levels are catered for; new faces and visitors are very welcome and participation is encouraged from everyone present. The Society was formed in April 2002 on the initiative of local resident, Terry Trevett (the current Secretary), and is the only such club in the Andover area or indeed within the Test Valley Borough. A small committee was formed and the Society's inaugural concert, featuring International Concert Organist, Nicholas Martin, was held on 18 July 2002. RGT organises internationally recognised examinations in electric, acoustic, classical and bass guitar - from total beginner to Diploma level - in partnership with London College of Music Exams (one of the world's most respected music examination boards, established since 1887) and certificated by Thames Valley University. Rockschool offers grade exams, performance certificates and band exams in Guitar, Bass, Drums, Vocals, Popular Piano (there is no Grade 7 for Piano) from Debut up to Grade 8 and Band Based Keys from Debut to Grade 5. All books are available for order from Stringbrokers Music. 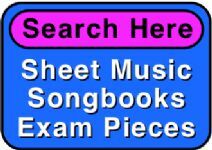 ABRSM organises practical and theoretical music exams, all books are available through Stringbrokers Music. Leading manufacturer of guitar strings, picks, capos, guitar slides, straps & accessories many stocked and recommended by Stringbrokers Music. Manufacturer of Slinky Guitar Strings, probably the most used electric guitar string in the universe all stocked by Stringbrokers Music. Martin Guitar Strings are the acoustic equivalent to Slinky Strings. This is a great website if you are interested in all the differences between the many variants of products. 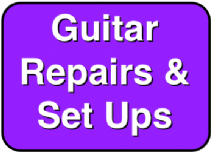 Top quality guitars made to high standards, if you are after an acoustic or an electro-acoustic guitar make sure you take the time to seriously check these guitars out.